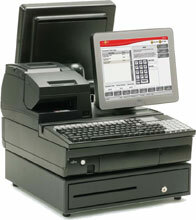 The Fujitsu TeamPoS 3000 XL2 has been discontinued. No direct replacement is available. Rugged, shock-resistant laptop technology is ideal for the retail environment. If you require a high-performance POS terminal that will grow with your retail business, the Fujitsu TeamPoS 3000 XL2 delivers. This powerful system features state-of-the-art mobile dual-core technology and a host of other features designed to drive down your total cost of ownership. From standalone point-of-sale to mission-critical applications such as loyalty, merchandising, and customer relationship management, the Fujitsu TeamPoS 3000 XL2 meets the demanding needs of today's Pervasive Retailing environment.